I started this website a year ago, with my first post “好”. My idea was to post a Chinese character a day, so that users will only need to spend few minutes a day to learn Chinese language. 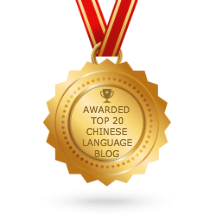 Now we have a total of 250 Chinese characters, with 100 most commonly used characters! Ni hao & happy anniversary! I have been enjoying the lessons and plan on going back into the archives for older ones as soon as I can (I found your site about a month ago). This is an excellent resource for people wanting to learn Chinese. I am glad that to hear that you are enjoying learning Chinese with me and this website.